Please login or register to view contact information.Thorleifur.Agustsson@iris.noPlease login or register to view contact information. Facilities have been tailored for conducting studies targeting a range of marine conditions from temperate to Arctic and surface waters to deep sea. 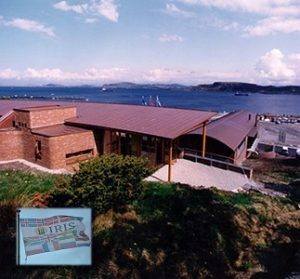 The centre includes 620 m2 of laboratories, all with access to a continuous supply of filtered seawater pumped from 80 m depth from the fjord adjacent to the laboratory. Recently fitted sophisticated heat exchange systems supply multiple seawater temperatures to support several independent experiments simultaneously or for use within single experiments facilitating multi-stressor studies. 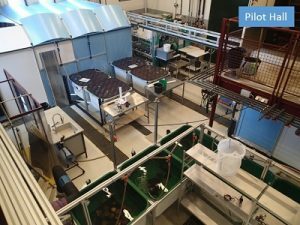 Pilot hall for large scale experiments that include pelagic enclosures of different sizes to conduct exposure studies with organisms varying from zooplankton larvae to adult fish. 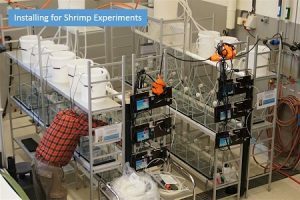 Additionally, benthic chambers of different sizes, each equipped with lids holding a stirrer, optodes, special injector and sampling ports are available for use in either the pilot hall or climate rooms. 6 climate rooms are available for more specific incubations requiring strict regulation of both air and water temperature. Climate rooms all with control of light and temperature (-1 to +40 °C). Finer filtering of incoming water (filters of different size). Multiple monitored range in water oxygenation within a single experiment. Multiple monitored range in water pH within a single experiment. Multiple monitored concentration of crude oil additions (dissolved or oil droplets) in water within a single experiment. Ecotoxicology, Histology, Chemistry, Proteomics, Microbiology, Molecular Biology and Microscopy/Image Analysis. Collection of pelagic or benthic components: rental of boat with high quality sampling devices. No in-house lodging. Hotel rooms and rental of houses or apartments are available in the vicinity.